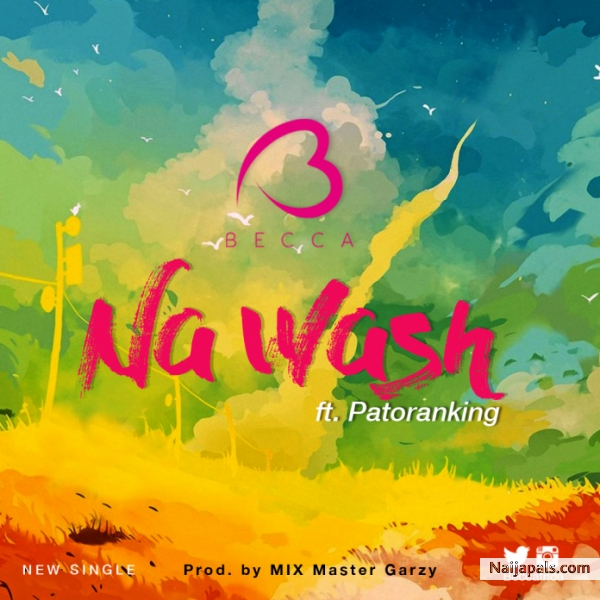 The African music scene is once again portrayed as a continental village as Ghanaian Singer-songwriter – Becca, teams up with Nigerian heart throb Patoranking on her latest jam “Na wash”. The simple duet is a parody at modern day relationships and their portrayal on social media as blissful and perfect, while the real deal involves lies, broken promises and human flaws. “Na wash”, is an Afro-pop song, with a romantic saxophone that backs up the track’s call and response structure. Playback and singing along just got easier as all three in the studio got involved, “I just got a DM from my crush… Na Wash. He’s a cool guy, I thought as much.. Na Wash. It was produced by Mix master Garzy.